This Vegan Fish Tacos are a real vegan treat!! 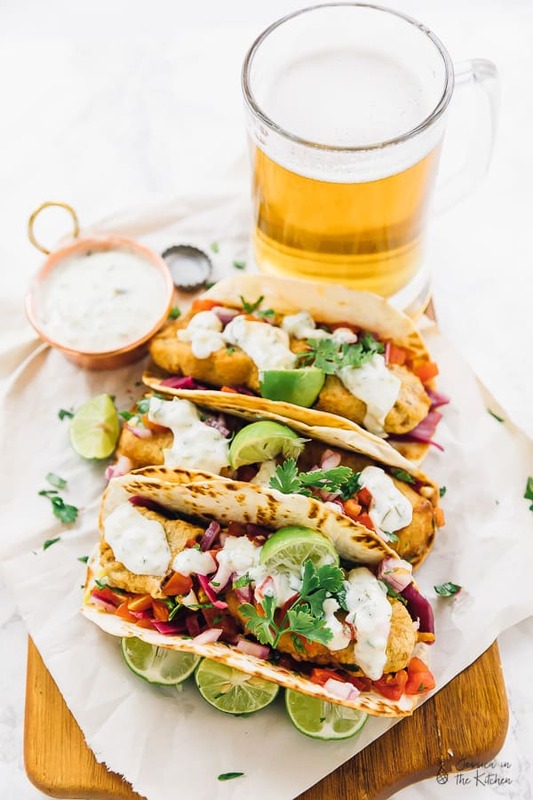 A beer-battered crust, flavourful pico de gallo and a creamy tartar sauce make for the ultimate vegan taco experience! I want you guys to know something about the way we make recipes here at JITK. I know – finally some more behind the scenes process! Speaking of behind the scenes, have you read my Day in the Life of Jessica post? It explores essentially EVERYTHING I do as a food blogger! First things first, I get an idea. Maybe it’s based on the season or a popular ingredient or something I recently ate. Maybe it’s a suggestion from Gav. This time around? It was Good Friday, and here it’s a tradition to eat fish. Obvi no fish going on here, so I wanted to make a vegan fish-like dish. Then I write out an ideal recipe. I have no idea when I was able to just come up with a recipe from scratch. It kind of just happened along the way. When you’ve created hundreds of unique recipes, it definitely gets easier. 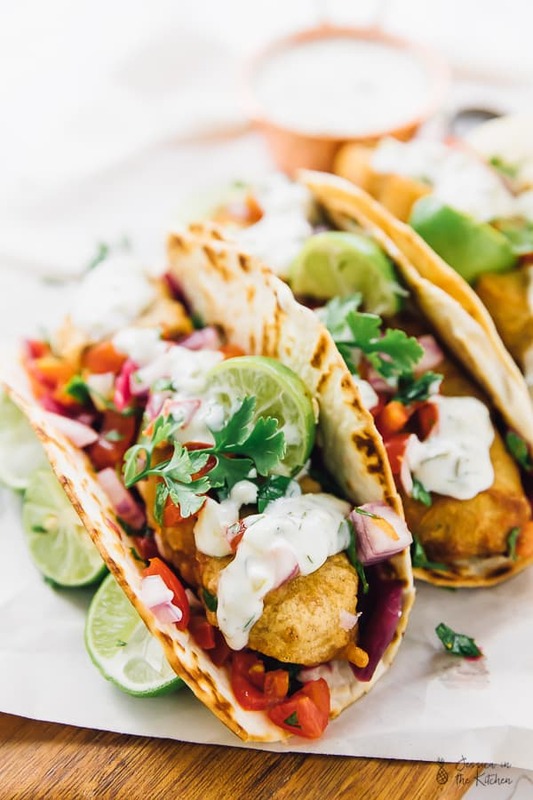 Let’s take these vegan fish tacos for example. Some recipes come out exceptional on the first try. Some take several tries just to get something we like. This recipe was the first of the two. The fish sticks came from my vegan fish sticks recipe which believe it or not, was simple enough to figure out. Fishy flavour – dried nori sheets and old bay seasoning (from eating lots of vegan sushi and owning old bay for years). Fish texture – artichokes or hearts of palm, from watching hundreds of YouTube videos when I first gave up fish four years ago and more recently, too. Anarchist Kitchen (warning: bad words) remarked on not liking the taste of artichoke, so I decided to try hearts of palm. Then we tried artichokes anyway in a different recipe, and didn’t have an aftertaste, so always recipe testing is key here! Speaking of hearts of palm – it’s the perfect vegan saltfish substitute for a Jamaican Ackee & Saltfish dish! For the batter, I used my old beer batter recipe from when I used to eat fish, and adjusted the flour to beer ratio since at first glance (+4 more years of experience since I last made this) I knew it would be too much flour. Update: I was right! I added old bay seasoning because – it’s lit for seafood recipes, and we want it to be lit for our vegan seafood-esque recipes too. 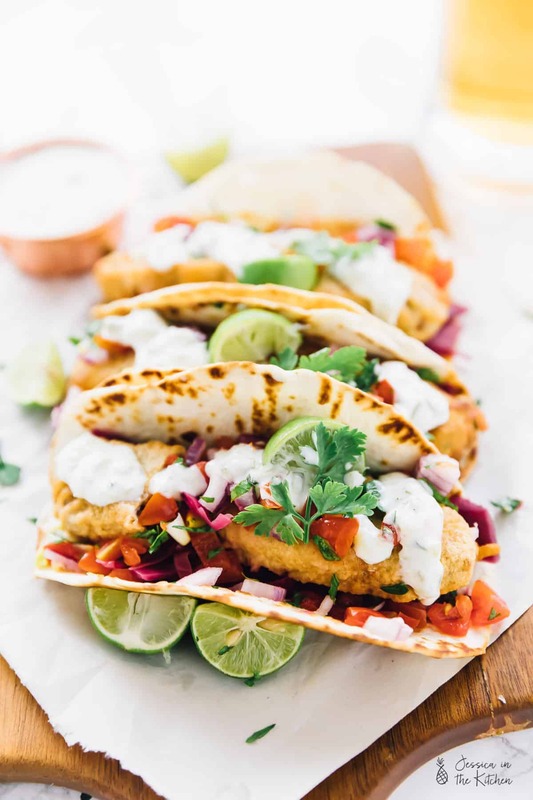 I’ve made so many taco recipes that I knew that pico de gallo would match these vegan fish tacos. Something crunchy, not too brine-y and bright in colour. Then of course, the tartar sauce. 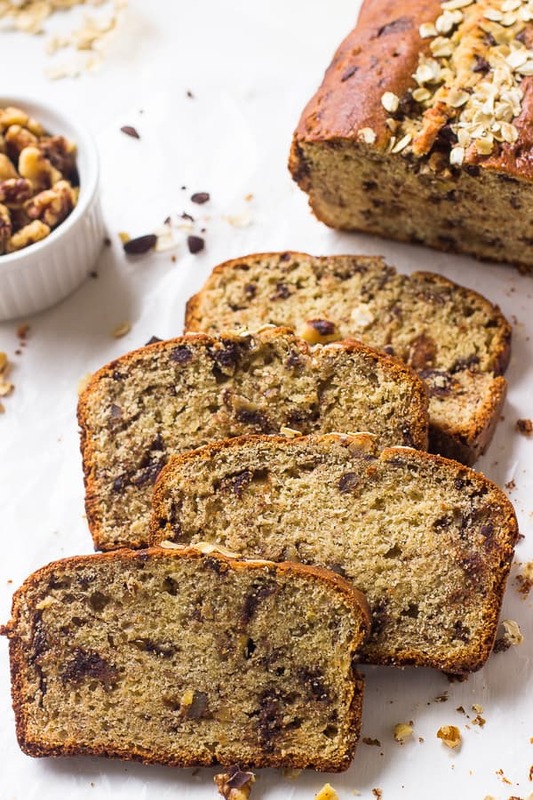 I’ve tasted enough to know how to whip up a vegan version and to identify the ingredients. Sometimes I check the Wikipedia page of a popular dish to ensure I’m keeping it as close to the original as possible (e.g., dill is always an ingredient in tartar sauce so I ensured I got some of that. The rest was up to experience and taste). Overall? 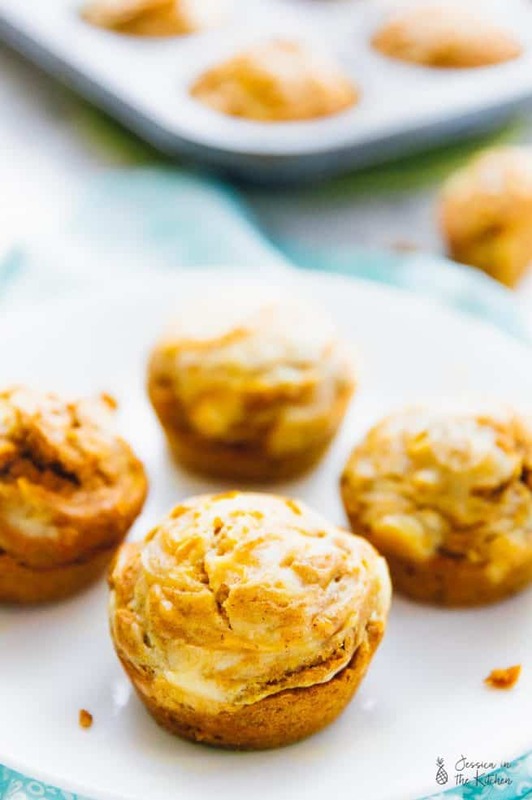 I make my recipes from experience, taste testing, professional guesswork (should I trademark that?) and inspiration from a restaurant or other recipes I’ve made/seen. I’ll always credit a blogger if their work directly influenced mine. Now you know!! 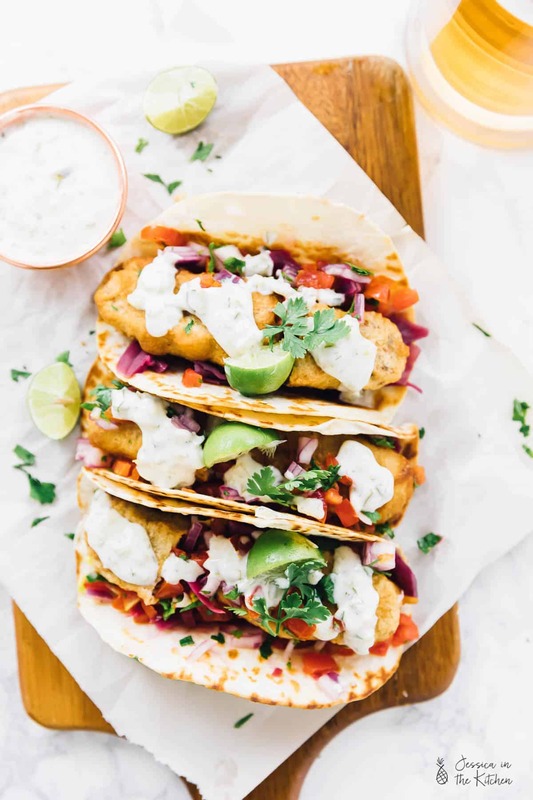 Oh, and of course, these vegan fish tacos are a must make!! That combo of fish sticks, pico de Gallo, pickled veggies and tartar sauce are a complete match made in heaven. Enjoy friends!! This post was originally published on April 25, 2018 and has been modified slightly. Stir all the ingredients together and set aside until ready for it! Heat 1 teaspoon olive oil in a skillet over medium heat (if possible, brush with a pastry brush). Place a taco shell in the heat until golden brown spots appear and they are slightly puffy for a few seconds, then flip and cook the same. Set on a plate to assemble. Layer with pico de Gallo, pickled veggies, crispy fish sticks, vegan tartar sauce and chopped parsley over the soft taco shells. 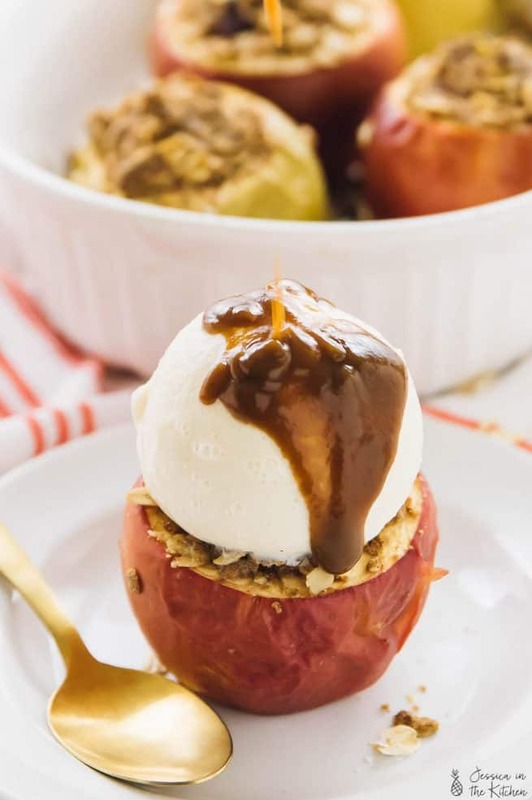 Add other toppings here if so desired. I found that 1 ½ fish stick worked for one taco. Serve with limes to squeeze over for a fresh burst of flavour. Enjoy! Honestly, these fish sticks taste best fresh. You can make the fish sticks ahead of time, without the batter. Then batter when you’re ready. Otherwise, you can swap the batter for seasoned panko breadcrumbs (to roll the fish sticks in before frying), which store much better. This would also allow you to bake it too, by the way! You can make the different parts of the taco and store separately in airtight tupperware containers. Leave the pico de gallo in its juices to keep it fresh and flavourful. When you’re ready to eat, reheat the fish sticks in the oven or a toaster oven, heat the tacos fresh and assemble. Made your original version, and we devoured them! Aww so happy to hear that and that you enjoyed them!! Hi Amanda we’re happy that you enjoyed! Thanks for this comment! Thanks for sharing – wonderful write up.